Former President George H.W. 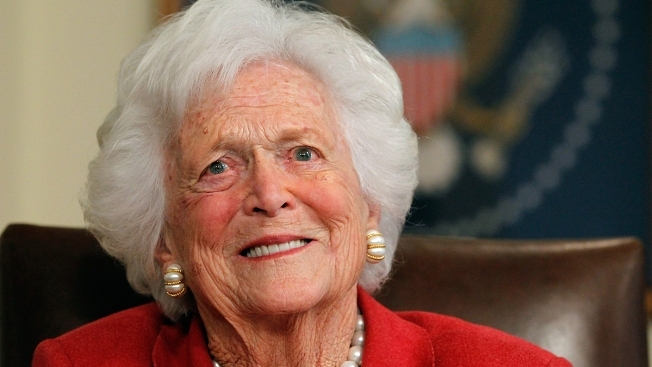 Bush is remembering his wife, Barbara Bush, on what would've been her 93rd birthday. He tweeted on Friday about how she loved helping others. He said knowing there are so many out there who share her passion "puts joy in our hearts." Her daughter-in-law, Margaret Bush, is attending an event Friday at The Barbara Bush Children's Hospital at Maine Medical Center in Portland, Maine. She will read to patients and then join them in having some cake. George and Barbara Bush were married for 73 years. She died April 17 in Houston after declining additional treatment for a life-threatening illness.